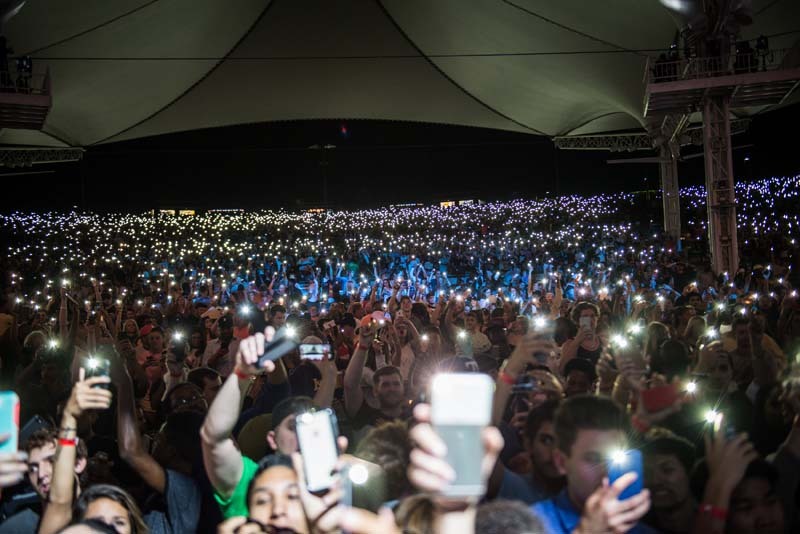 This show had the crowd going “All Night”. 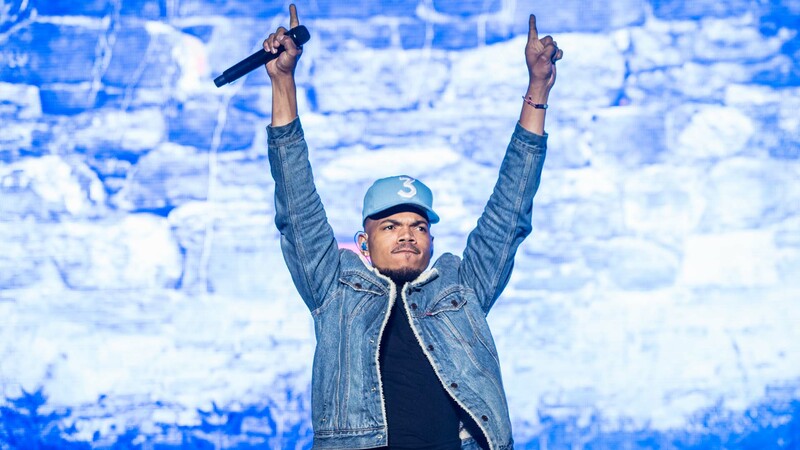 One of the hottest rappers in the game, Chance the Rapper continues to live up to his reputation. 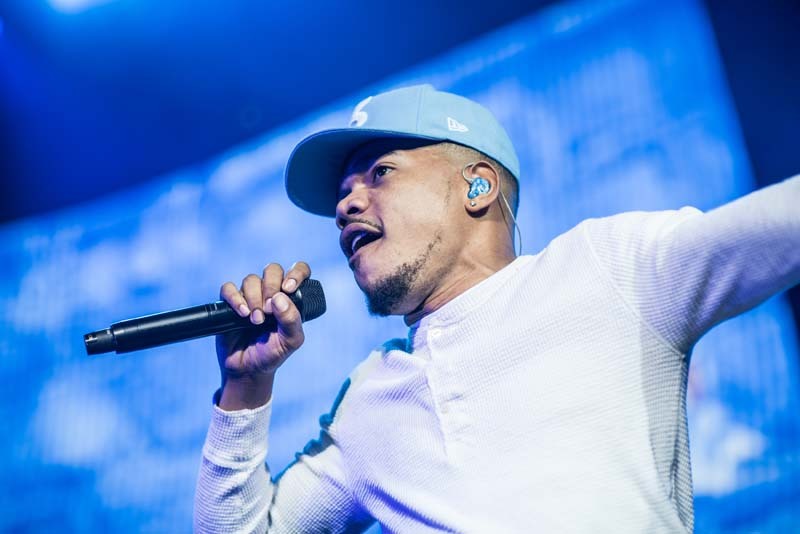 Besides posting adorable flicks of his daughter on Instagram, the Chicago-native has proven himself to a one-of-a-kind musician. 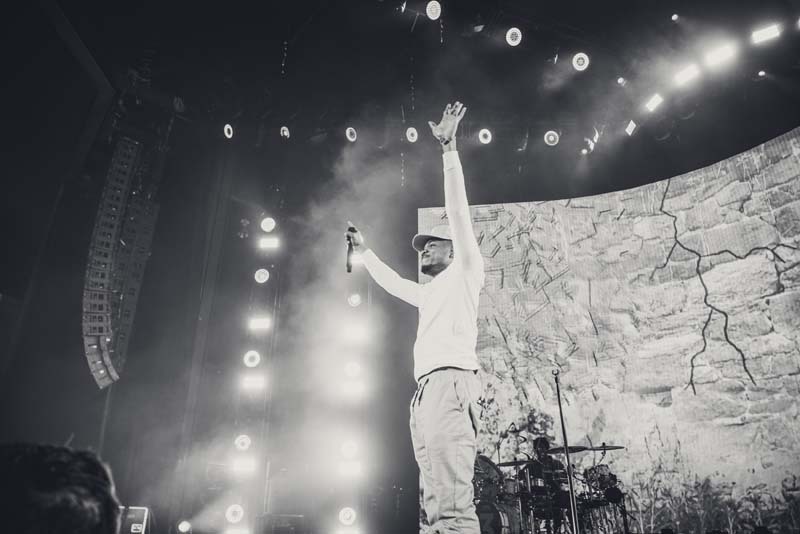 With three full-length albums under his belt, the “All Night” artist is taking the industry by storm, one stage at a time. 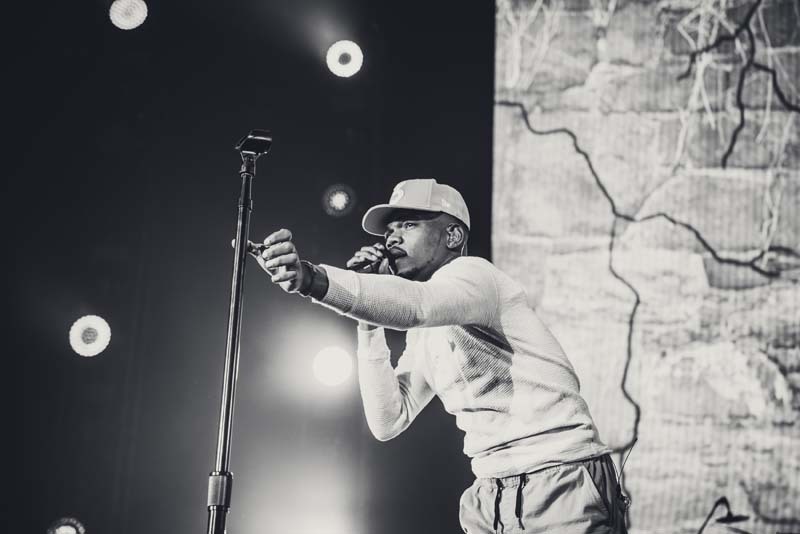 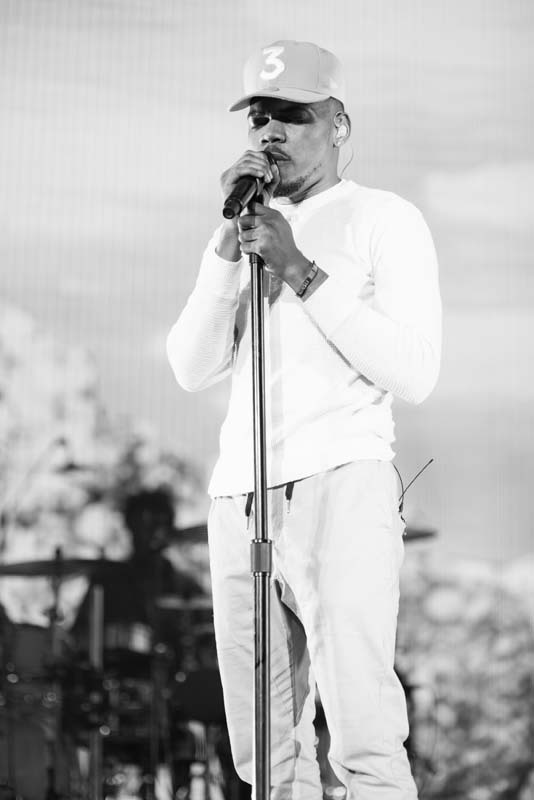 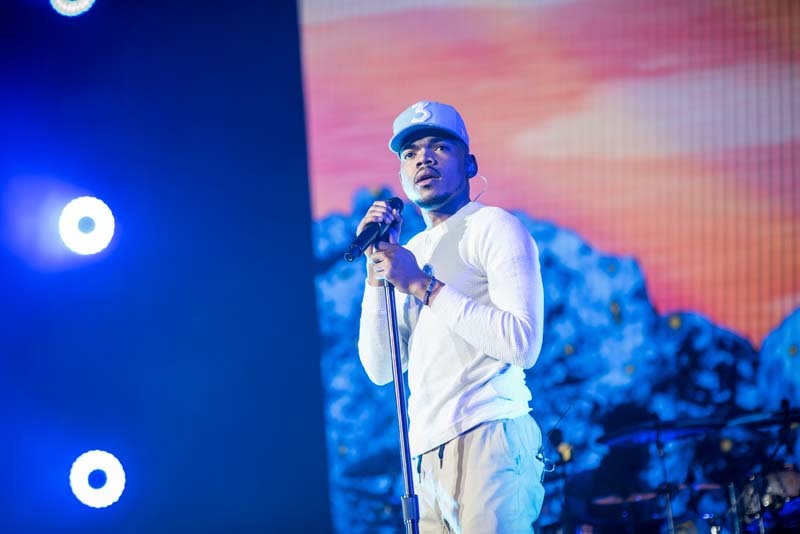 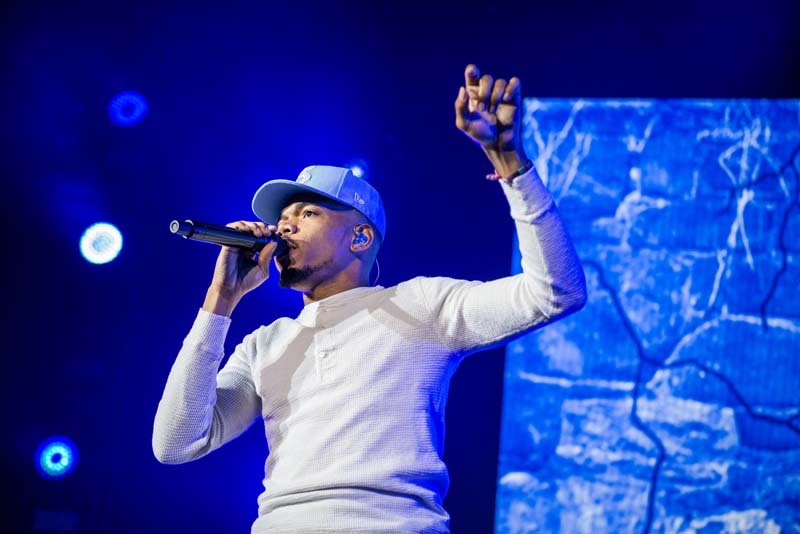 On May 7 in The Woodlands, Texas, Chance took to the Cynthia Woods Mitchell Pavilion to perform to over 16,000 fans. 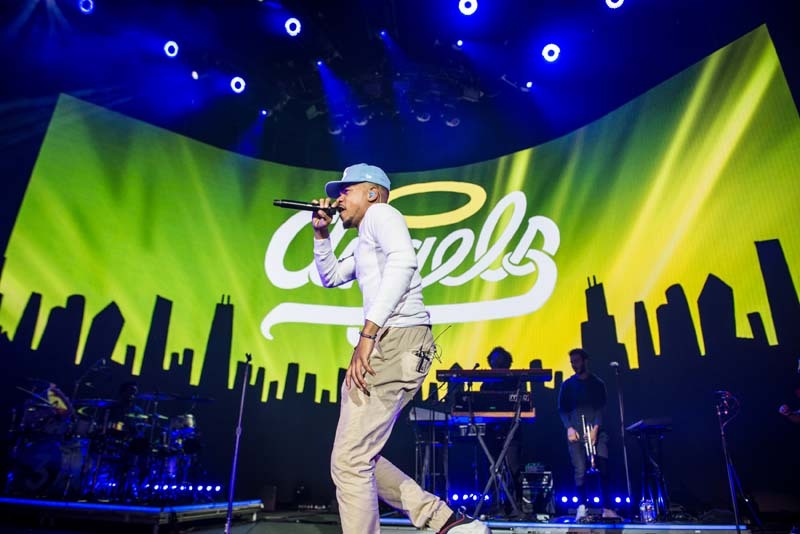 Starting with hit “Blessings” and going into “Angels”, the charming emcee performed all the fan favorites including “Same Drugs”, “Cocoa Butter Kisses”, and even a cover of Kanye’s “Waves / Father Stretch My Hands / Ultralight Beam”. 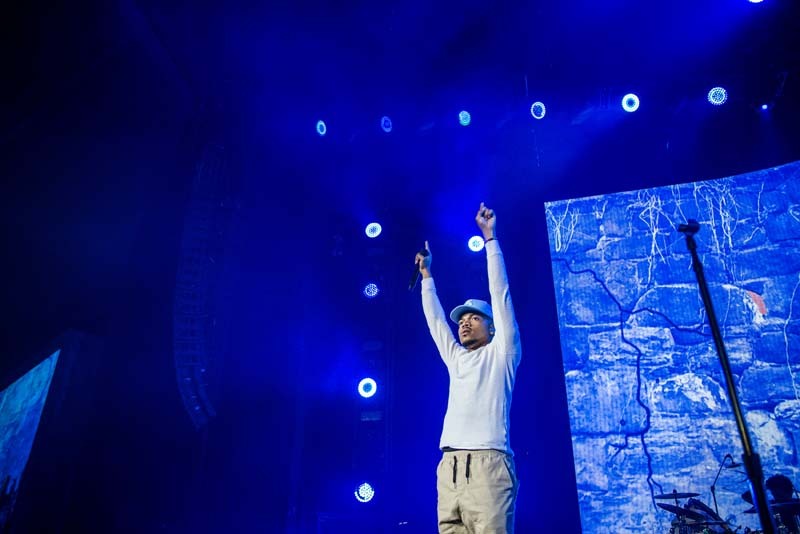 With energy levels through the roof (thanks to a 21-song setlist), concert-goers had their hands up the entire time, singing along to every word. 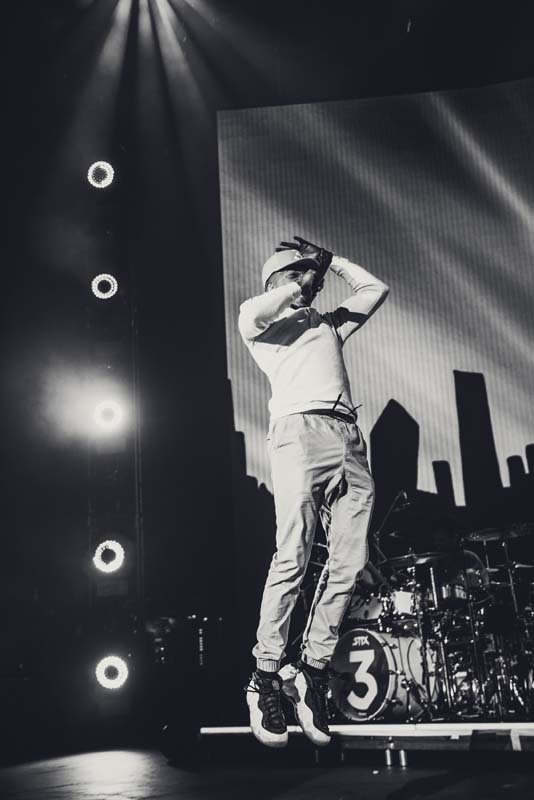 The performer will be embarking on a US tour, starting August 5 at Lollapalooza in Chicago, IL and wrapping up on October 20 at Lost Lake Festival in Phoenix, AZ. 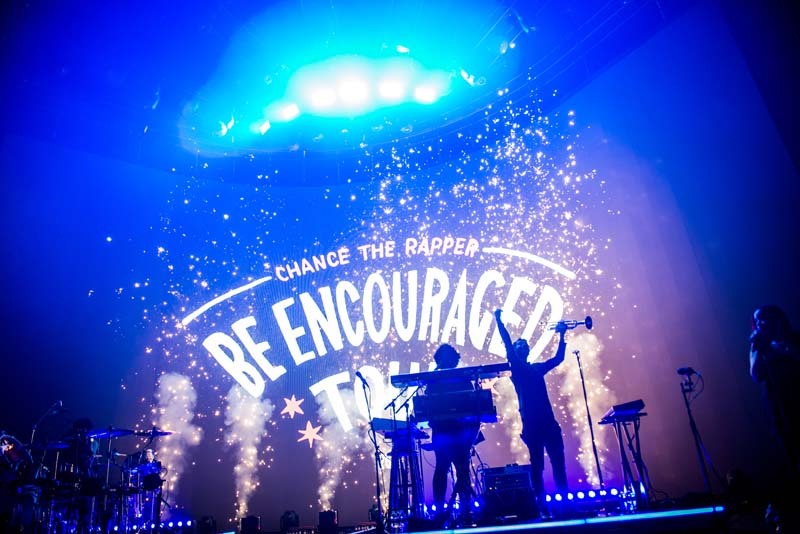 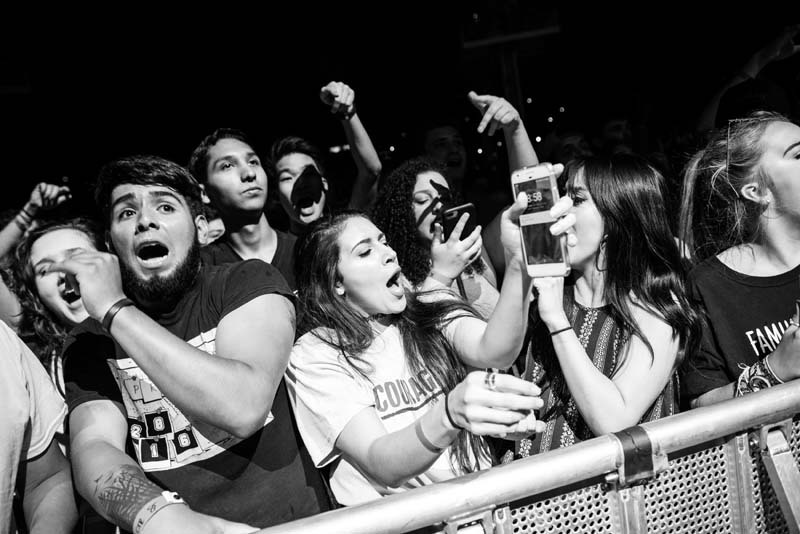 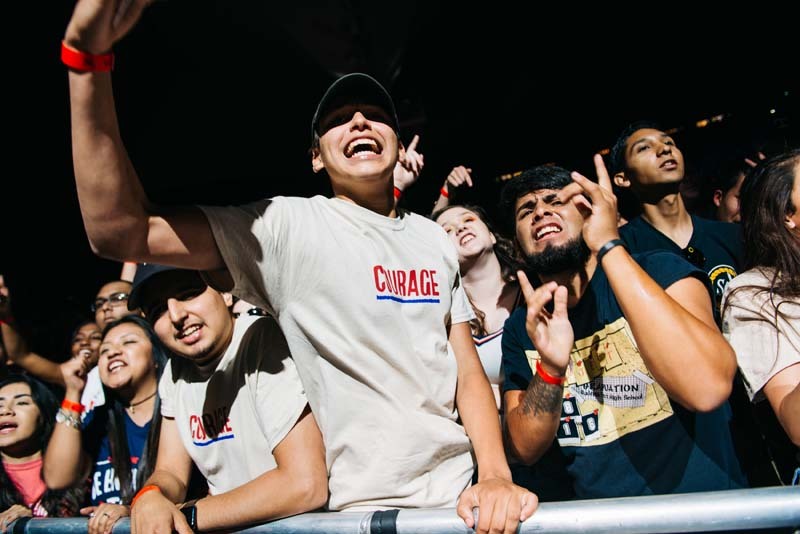 Check out the photos of this show below and make sure to Track Chance The Rapper so you never have to miss a performance!